A highly efficient way to heat an air tight highly insulated house. 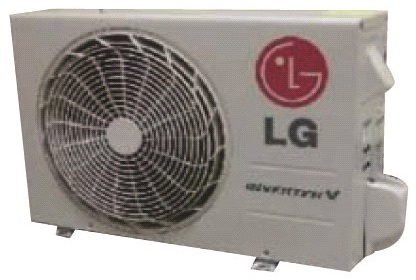 A ductless minisplit is a type of air-source heat pump, so it can be used for heating as well as cooling. In recent years, Japanese and Korean manufacturers (including Daikin, Fujitsu, Mitsubishi, LG, and Samsung) have significantly improved the heating efficiency of ductless mini-splits. They are electric heaters, but provide greater efficiency than using electrical resistance heaters. You need an outside unit and an inside unit. They are connected with two small diameter pipes.